Some stories, no matter how unsettling, just can’t be ignored — even when some people are determined to look away. The murder trial of Philadelphia abortionist Kermit Gosnell will soon go to jury. And like every other criminally accused person under the law, Gosnell is innocent until proven guilty. Whatever the verdict though, there’s no ambiguity about the kind of business he ran at his West Philadelphia “Women’s Medical Center” ­— an abortion clinic that critics have likened to a meatpacking plant or a butcher shop, with unborn children delivered into a toilet, and jars of fetal body parts stored around the facility. Dr. Gosnell was originally charged with one count of infanticide and five counts of “abuse of corpse” for killing fetuses born alive by plunging scissors into their necks. Without explanation, the judge in the case accepted a motion to acquit Gosnell of these charges earlier this week. Gosnell still faces four counts of first-degree and one count of third-degree murder. Eight of his coworkers have already pleaded guilty in the case, including three to third-degree murder. Or so said The New York Times in a report dated April 23. The date is important. Gosnell’s trial began March 18, more than a month ago. The Times coverage, while modest, is significant. Why? The answer is simple. The Inquirer – Philadelphia’s hometown paper – has done a good job following the trial. But most prestige national media have seemed remarkably eager to ignore the story until shamed into covering it. Gosnell is much more than a “local” story. The continuing debate over legalized abortion is a hot-button national issue that drew half a million pro-life demonstrators to Washington in January. The battle over abortion restrictions continues in every state. Forty years after the Supreme Court’s Roe v. Wade decision, resistance to permissive abortion remains high. And the vivid details of the Gosnell clinic tragedy have the kind of salacious appeal that few national media would normally avoid — if the issue were anything else. But abortion is too often, and in too many news rooms, exactly the kind of topic that brings on a sudden case of snow blindness. The Atlantic story by Conor Friedersdorf is worth reading. But don’t stop there. Read this by Kirsten Powers, columnist for The Daily Beast, in USA Today. And these excellent analyses by journalists Terry Mattingly, Mollie Hemingway and George Conger. The irony is that much of the media’s lethargy in covering the Gosnell case really doesn’t surprise. It’s part of the fabric of a culture that simply will not see what it doesn’t want to see about the realities of abortion. And it leads to the kind of implausible claim made recently by one local commentator that “no sense of guilt is warranted” by the media because “there is no causal connection between coverage of [the Gosnell] case and bias.” It’s hard to imagine a more untenable alibi. The brutality in abortion is intimate, personal and permanent. It violates women, and it kills a developing human life every time — whether the venue is a “Women’s Medical Center”-style meat factory or a soothing suburban clinic. What makes the Gosnell story unique is that it should distress anyone with its details, pro-choice or pro-life, regardless of religion or politics. But of course, people need to know about an evil before they can do anything about it. Thank you, Archbishop Chaput for your couregous stand for life. God bless you. The Archbishop’s Weekly Column should be more accurately titled the Archbishop’s Semi Monthly Column. God Bles all the people with the commoon sense to fight against abortion. Love & prayers to you all. 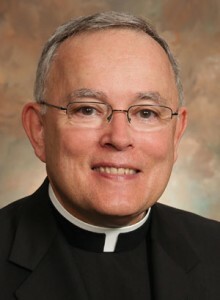 Thank you Archbishop for yor enlightening teaching and leadership. May God bless you and yor ministry. Truly Satan does dwell among us. The barbarism perpetrated by Kermit Gosnell is only a fraction of what goes on daily across America. Gosnell’s only came to light because because a woman died after having a third trimester abortion, not because he was performing abortions or keeping body parts in his refrigerator. Otherwise, this butcher would still be in business. And what strikes me most is that people are not more outraged over his conduct. There is only scant coverage of the trial in local or national papers because the liberal media is actively suppressing the story. Why, because they really do believe that a woman has the right to terminate a pregnancy at any time and for any or even no reason. So they kill a baby in the womb and call it an abortion, they call it health care. It’s premeditated murder nothing more or less. I pray that they hearts change. As the director of Alpha Pregnancy Services in Philadelphia, I would like to personally extend my thanks to you and your parishioners in the Philadelphia area for your enduring support for the sanctity of all human life, from the moment of conception to the final breath. The Gosnell trial has cast a dark shadow over our city, but we know that the Lord can bring beauty from ashes. Thank you for standing in support of Alpha and all the other pregnancy centers in and around the city. Please continue to pray for all of us who work diligently to bring hope, healing, comfort and much needed practical support to pregnant and post-abortive women throughout the region.